According to Gartner, over fifty percent of corporate applications are now delivered via the browser. Unfortunately, many Web applications, especially legacy applications, require a specific version of Internet Explorer, and/or require Flash or Java functionality that may or may not be supported by the default browser on the user’s endpoint device. BYOD policies can further complicate deployment – how do you support a user whose personal device is a Mac running the Safari browser when your Web app requires Internet Explorer? One of the easiest ways to address this is to allow your users to access an instance of Internet Explorer, of the required version, with the required plugins, Flash version, Java version, etc., running on a XenApp server. 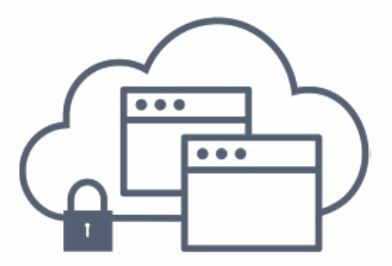 And Citrix has just made this much easier to do by introducing a Secure Browser service that is hosted for you in the Citrix Workspace Cloud starting at $20/month/user. If you already have a XenApp infrastructure of your own, and you’re running XenApp v7.8 or later, you can download the Secure Browser deployment kit, and give your internal XenApp infrastructure the same functionality as the Citrix Workspace Cloud. If you aren’t currently running XenApp, but want to build a XenApp infrastructure specifically for deploying Secure Browser apps, you can purchase limited-functionality XenApp licenses for $150 per user or device. Currently, the Citrix hosted service allows you to deploy Internet Explorer v11, 32- or 64-bit, or the latest version of Chrome. As time goes on, Citrix plans to support more browsers and versions. Of course, if you’re running your own XenApp infrastructure, you can deploy whatever browser/version you want.